Throughout the current chapter in the Trump saga (Chapter 512, The Manafort Trial? 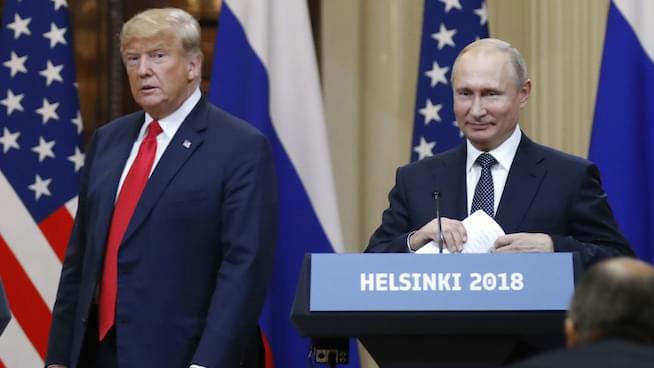 ), the common question asked is whether or not the president, or anyone within his campaign, colluded with Russian operatives in the run-up to the 2016 election. The Mueller investigation has re-focused that argument, asking instead whether there was a conspiracy to defraud The United States. The terms “conspiracy” and “collusion” are bandied about as though their interchangeable — but it’s important to note that’s not the case. In an effort to gain some degree of clarity on these matters, Jack Armstrong & Joe Getty will be turning to a number of legal minds to gain the benefit of their perspective in the upcoming weeks. One such person is UCLA and UC San Diego Constitutional Law Professor Harry Litman. He joined the show to talk about the major points of interest in this evolving drama: The Trump Tower Russia meeting, the firing of former FBI Director James Comey, the DNC hack and election tampering.